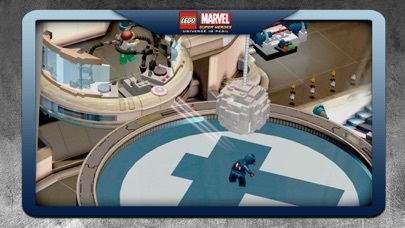 LEGO® Marvel™ Super Heroes: Universe in Peril features an original story crossing the entire Marvel Universe. Take control of Iron Man, Spider-Man, the Hulk, Captain America, Wolverine and many more Marvel characters as they unite to stop Loki and a host of other Marvel villains from assembling a super-weapon capable of destroying the world! NOTE: This game is filled with many hours of content and cinematics that take up a lot of space! You’ll need 2.2gb of available space on your device if you install over wifi, but only 1.1gb of space if you download on your computer and then sync. As with many large app installations, we advise that you restart your device after installing as this will resolve some stability issues. Also make sure you have installed the most recent firmware. No internet connection is needed to play this game. 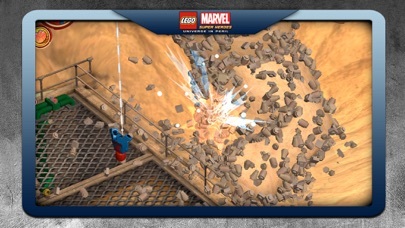 GAME FEATURES: • Over 91 playable characters, such as Iron Man, Spider-Man, Captain America, Wolverine, and more can be unlocked as you progress through the game. Select character families can be accessed at any time through purchase via our in-game store. 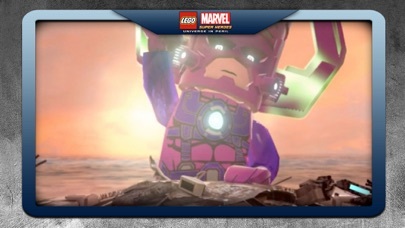 • Complete 45 action-packed missions as you chase down Cosmic Bricks across key locations from the Marvel Universe • Battle enemies using super power abilities such as flight, super strength and invisibility. 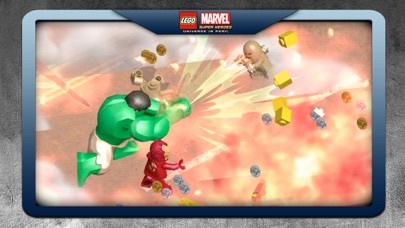 • Use fast-paced combat moves and activate Super Moves like Hulk’s Thunder Clap and Iron Man’s Arc Reactor. • Complete challenges and earn rewards. • Switch between “Console” and “Touch Screen” controls to find the play-style that suits you best. The best game ever. Every one would love it in the world. Such a great amazing game, I love it so very much. So when can we get the LEGO Indiana Jones trilogy on iTunes? I bought this game for my son and when he opens the app, it’s just a black screen. Can I get my money back? 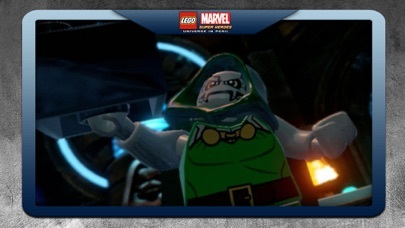 I want a new LEGO marvel game on the internet . Paid loaded and all I get is a black screen. I want a refund! This is a good game but it constantly crashes. Fix the bugs and it would be great.